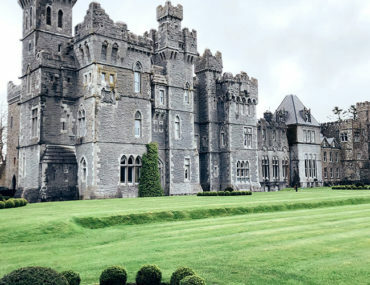 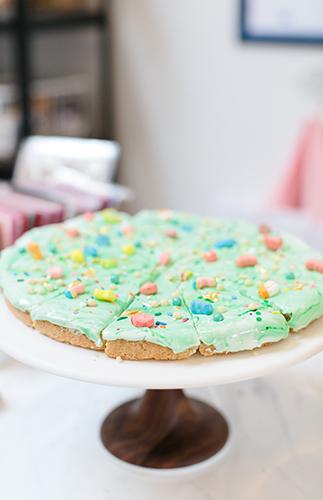 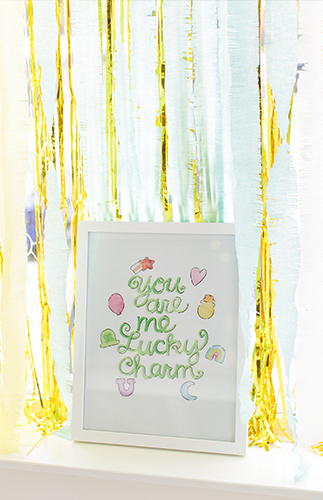 Try your luck at hosting a St. Patrick’s day party this week with this fun one as your inspiration! 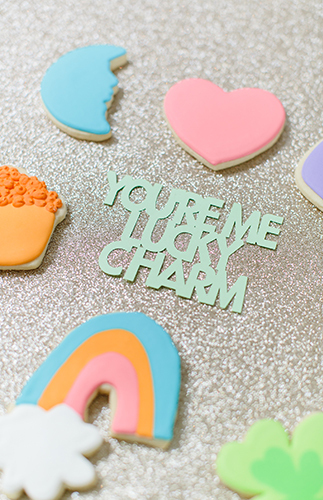 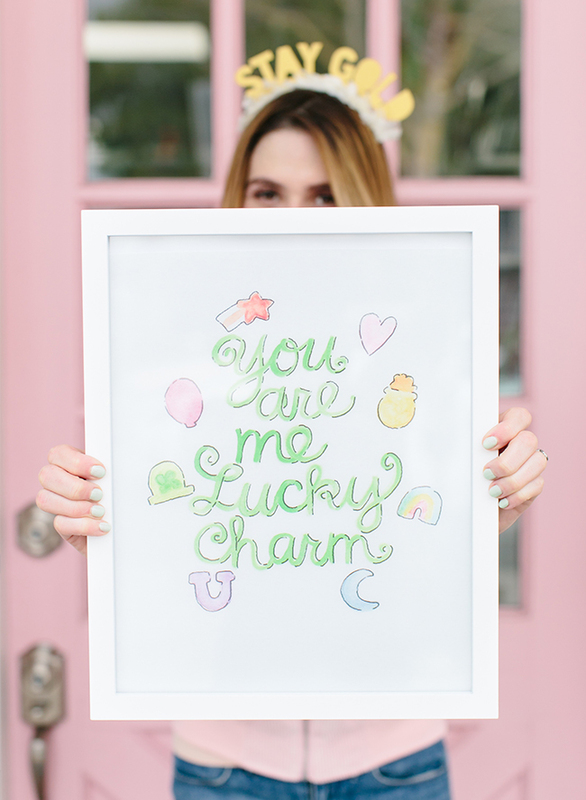 The ‘You’re My Lucky Charm’ theme is cute, fun, fitting and not too green ;). 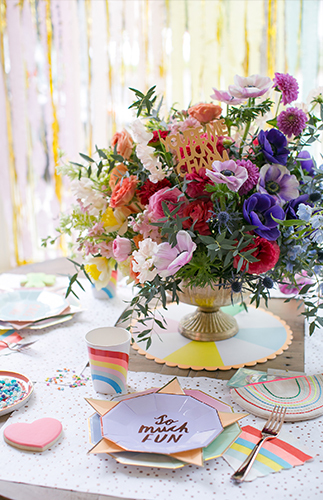 Guide your guests to the end of the rainbow where they will find themselves greeted with a pretty pot of flowers and plenty of sweet treats. 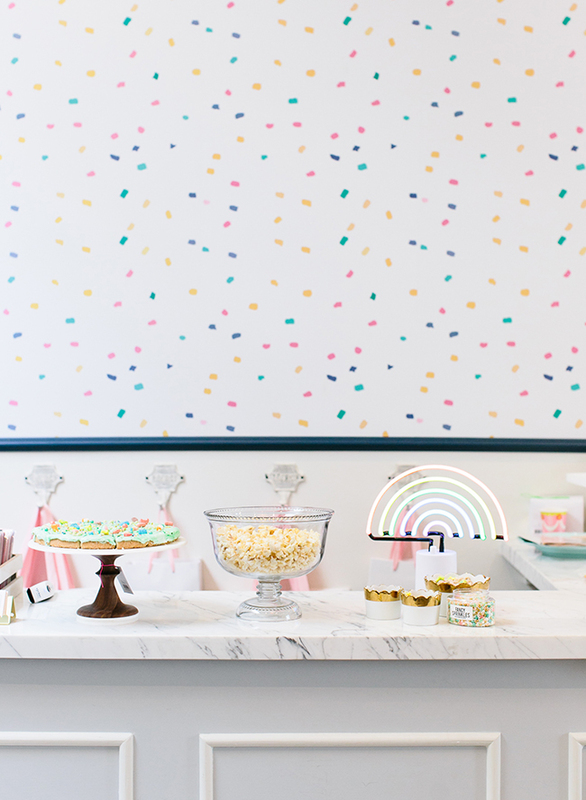 Speaking of treats, Royale of But First, Party! 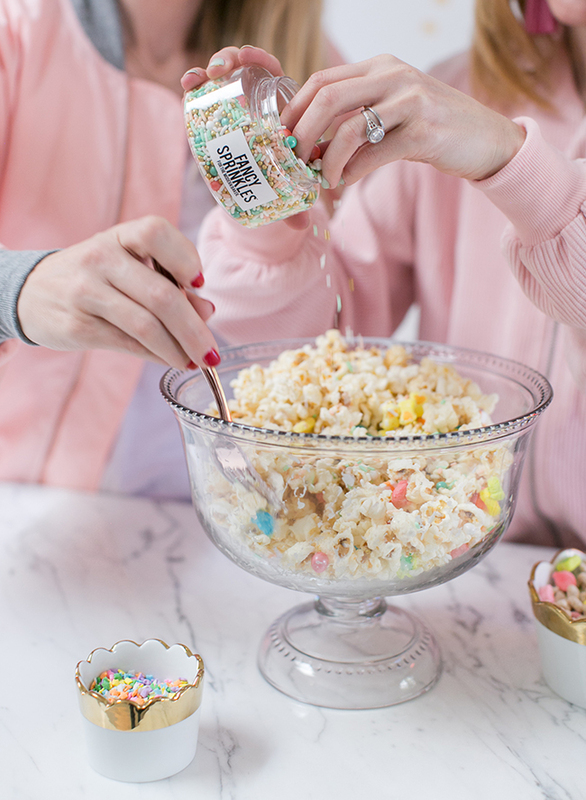 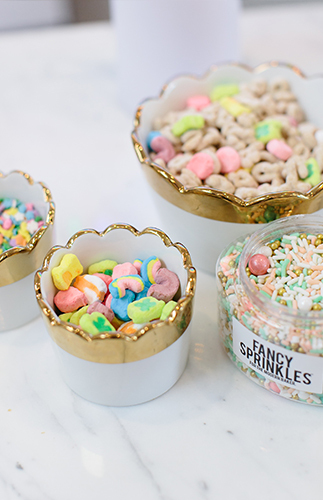 shares a yummy ‘pot-o-gold’ popcorn recipe to go with her fun St. Paddy’s day party design! 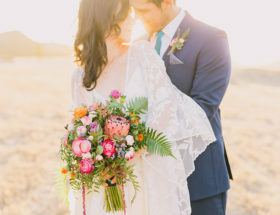 Want to take it to the next level? 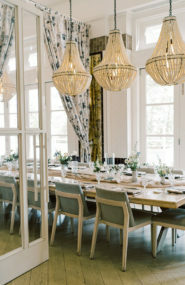 Whip up a green cocktail too! 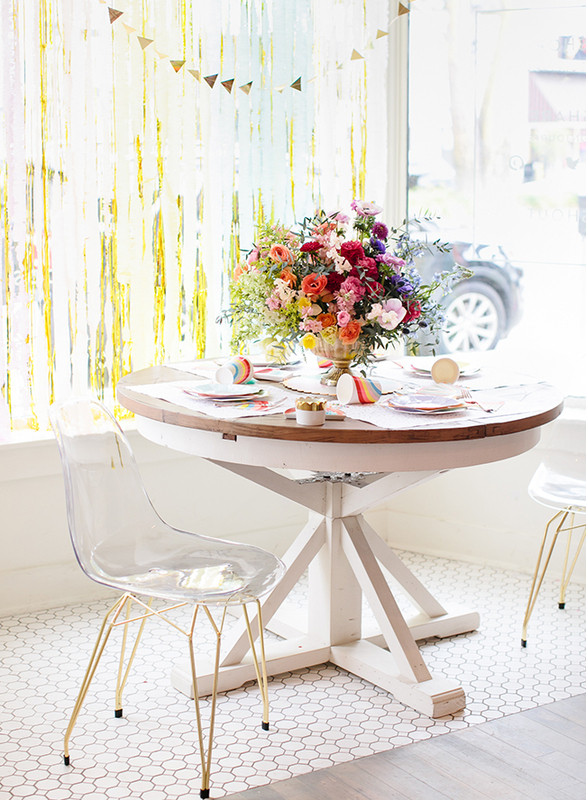 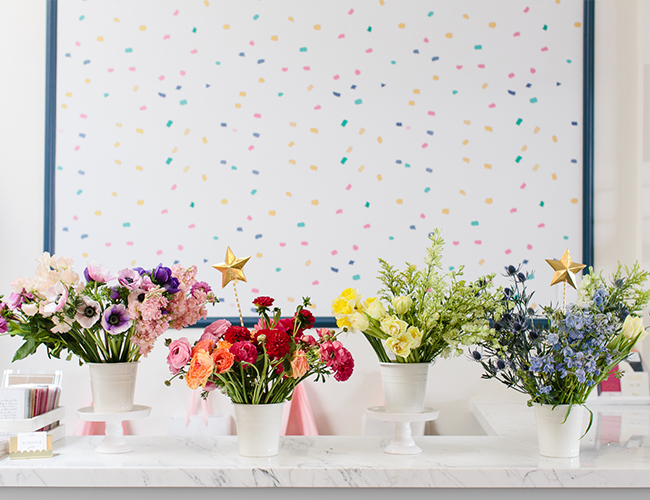 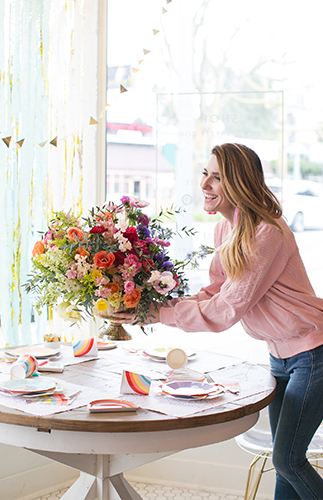 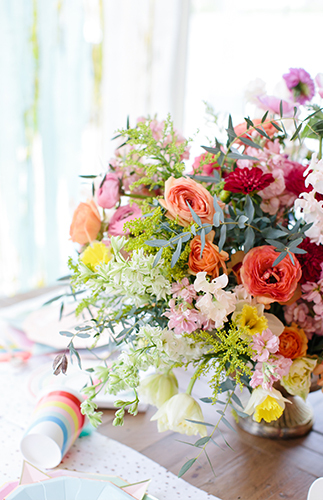 Royale says, For decor, we drew inspiration from somewhere over the rainbow, creating a multicolored ombré arrangement and filling buckets with fresh blooms. 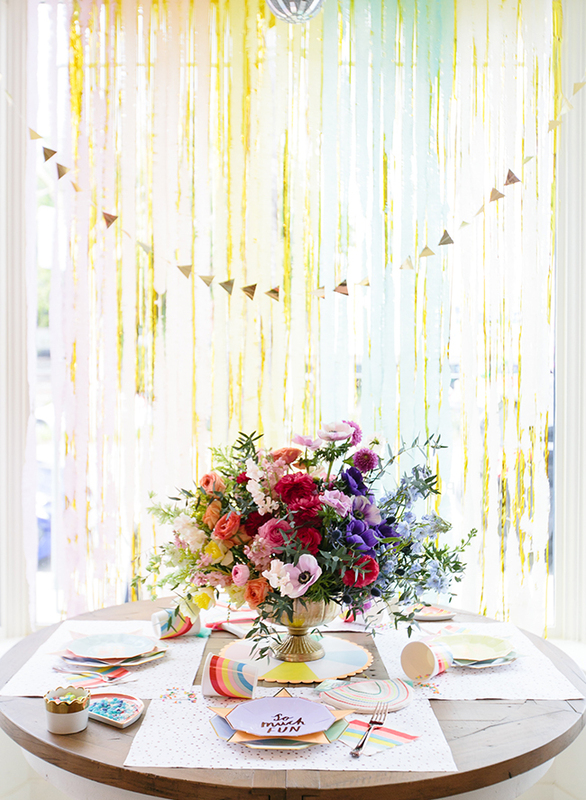 We also created a kaleidoscopic backdrop with fringed streamers, cut with multi-blade scissors, and gold tinsel curtains. 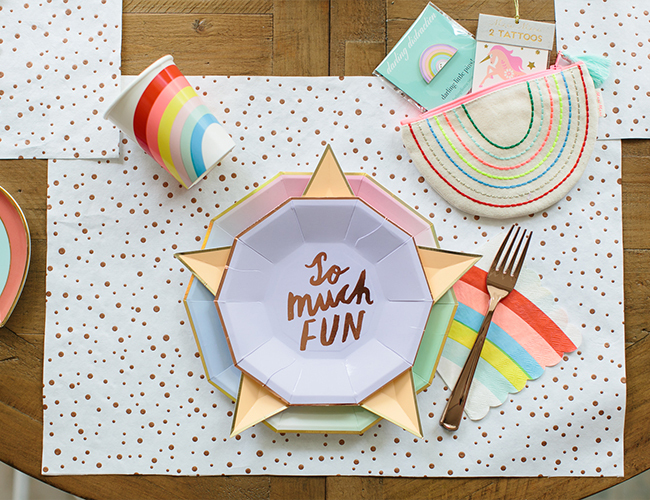 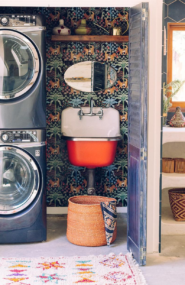 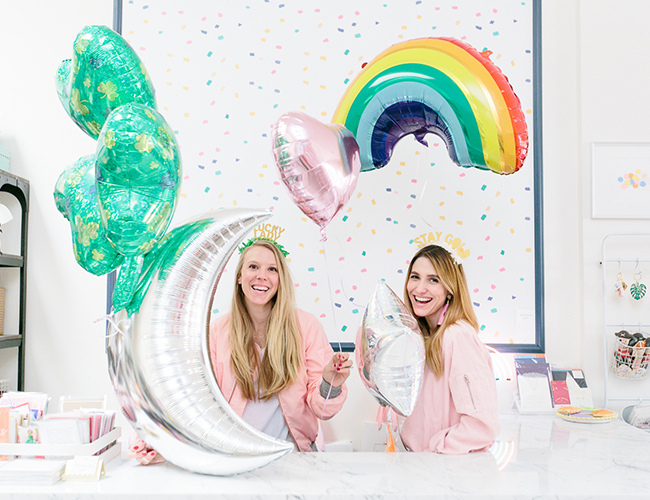 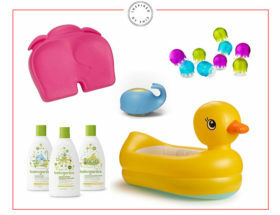 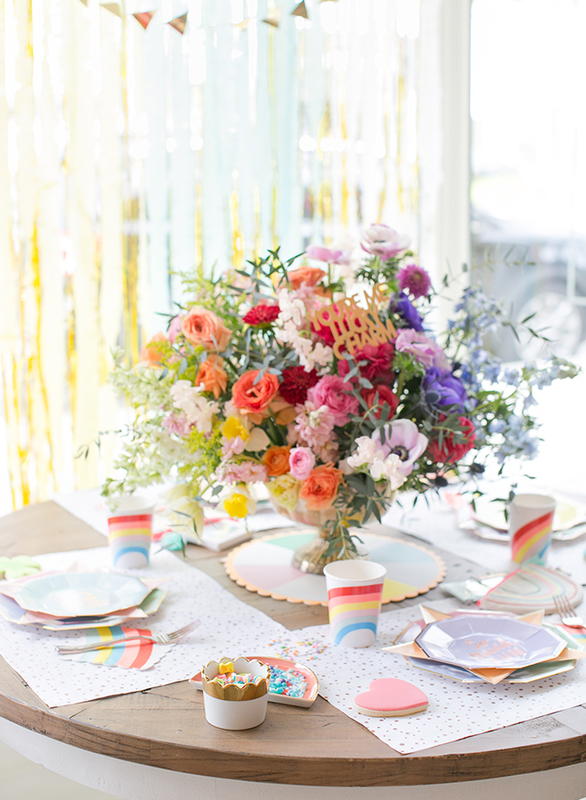 We paired rainbow party-ware with rose gold accents. 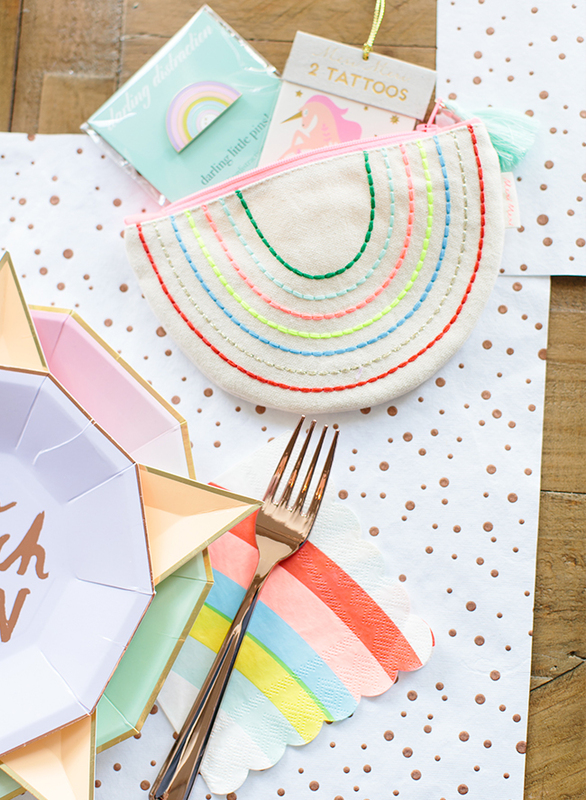 Also, we stuffed rainbow-stitched pouches with tattoos, pins and charm bracelets. 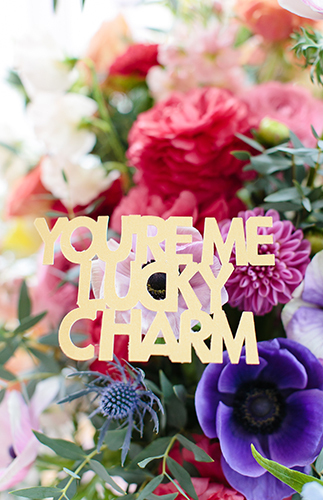 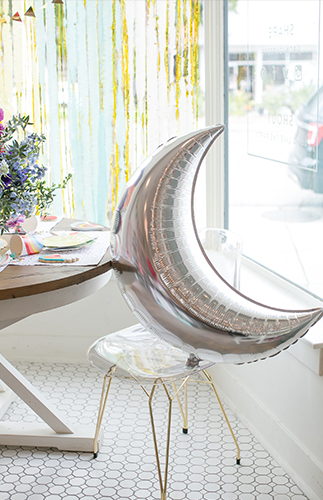 Finally, we spray-painted a gold horseshoe balloon lilac, and paired it with moon, star, heart, rainbow and clover mylars to create a bouquet of life-sized Lucky Charms. 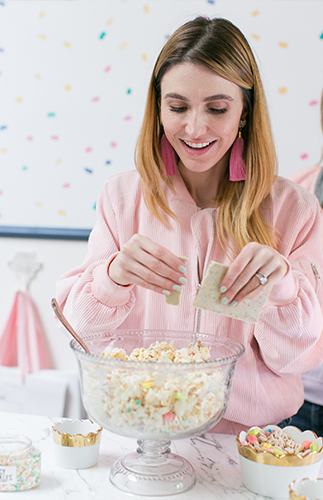 This party was so much fun, we couldn’t help pinching ourselves!